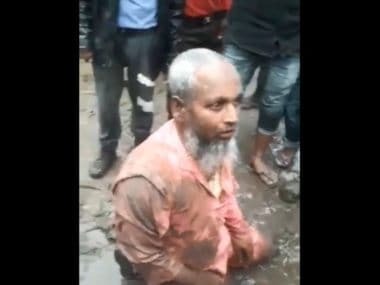 Guwahati: In yet another case of cow vigilantism, an elderly Muslim man, Shaukat Ali, was beaten up and forced to eat pork, which is forbidden among followers of Islam, while his restaurant was vandalised by another group at some distance in Biswanath Chariali district in Assam on Sunday. The incident came to light on Monday after a video showing a mob assaulting Ali, a 68-year-old restaurant owner, was circulated on social media platforms. In the video, Ali is seen surrounded by a mob of 25 to 30 people, while one of them asks him why he sold beef and whether he possessed a licence to do that. Another man asks whether he is a "Bangladeshi", and if his name is enlisted in the National Register of Citizens (NRC). In the video, the mob is seen forcibly feeding meat to Ali, which they call "gahori" (pork). "Chew the meat and gulp it down your throat," the men are heard ordering him. Ali seemed baffled by the events because he has never had to live through such fear as a result of the business that his family has run for 35 years since his father set it up. Narrating the chain of events, he said that three days before he was attacked, around 15 boys barged into his restaurant asking where he had kept the beef. "I used to keep it in a room, away from sight. They searched and found the beef. They took videos of it. After that, I got scared and went to the mahaldar's office," said Ali. The mahaldars, or market managers, advised him not to sell beef. "Since then I stopped selling (beef)," said Ali. However, the group of boys who had threatened him earlier returned to his hotel on Sunday morning and asked if he was still selling beef. "But, they didn't find (beef). Then at around 3 pm, one mahaldar whose name is Maina, came to tell me that I cannot work in the market anymore. I was tense and decided to head home. On the way, Maina stopped me and asked where I was going. I told him I was going to offer prayers. He then took me to a paan shop nearby and asked me not to move from there as I might be hurt if I go alone. Then he left. I waited for almost one-and-a-half hours when the same group from three days ago appeared. They dragged me to a school and started thrashing me," narrated Ali, while also suspecting Maina's involvement in conspiring against him. Maina, one of the four managers at the market, is absconding, according to sources from the All Assam Minority Students Union (AAMSU). After Thursday's threat, Ali had contacted AAMSU, an organisation that voices concerns on harassment of the minority community in Assam, where he was advised to inform the mahaldar about the incident. An FIR (Case no. 80/2019) has been registered in relation to the incident at Biswanath Police Station under Sections 143/341/325/294(a)/295A/153-A(b) and 384 of the IPC. Subhan Chandra Das, officer-in-charge, Biswanath Police Station, said he received a phone call at around 4 pm on Sunday informing him that a man was being assaulted by a group. "Five other policemen and I immediately rushed to the spot. There, I saw a man was made to kneel down and (was being) punched and slapped by a mob. There were around 100 people. I made my way through the mob and stood behind the person trying to save him from the assault. The mob also tried to push me. Somehow, I put him in our vehicle. But the mob gheraoed (encircled) our vehicle demanding that we leave the man to them. I called for additional help. 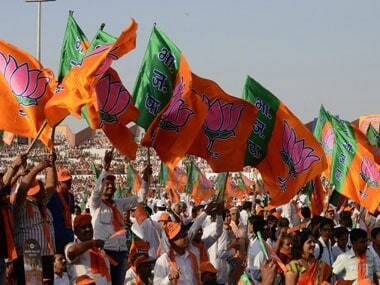 Paramilitary forces also came," said Das. The mob had by then started assaulting Kamal Thapa, another mahaldar, who had tried to save Ali. "We again went into the mob and rescued him as well," said Das, adding, "We have arrested one person identified as Dipen Baruah. We have identified a few more and located the homes of two. But they are absconding." The OC denied the suspects' allegiance to any political or religious outfit as per the "available information". Biswanath Chariali deputy commissioner Pabitra Ram Khaund said, "Cooked beef was being sold in one of the small restaurants in the weekly market and this has been going on for long, but nobody has come to the DC or the SP to complain about it as yet. Selling of beef is not banned here, but there are some sections of law under which you can ban the selling of beef if it breaches the tranquillity of the place. But, so far no such incident had occurred." Khaund said the district administration held a meeting with two organisations on Monday and two people were picked up for questioning while measures to contain the situation were being taken. Biswanath happens to be a peaceful place, but the video that has gone viral has created tension in the town, said the DC. "In this area, there are no problems as yet and on Tuesday, we have called a meeting with all the local organisations. The superintendent of police and I have been constantly on the move and are in close contact with the paramilitary, as elections are (scheduled) here in two days," he added. 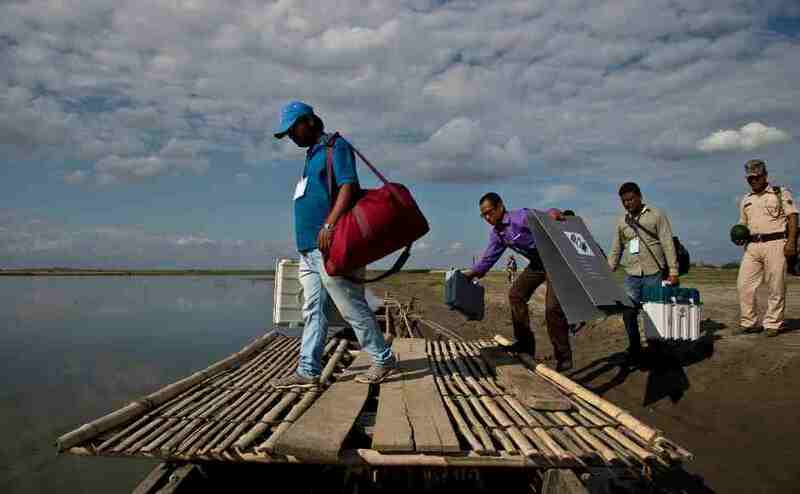 Five of the 14 Lok Sabha constituencies of Assam go to the polls on 11 April in the first phase of the General Election. Thapa, who tried to save Ali from the mob violence, said the group had contacted him after threatening Ali on Thursday. "When Shaukat Ali came to me to inform about the incident (on Thursday), I asked him not to sell beef for a few days, as it was election time and the situation regarding selling and eating of beef in the country can escalate into anything. Shaukat agreed to follow my advice," he said. 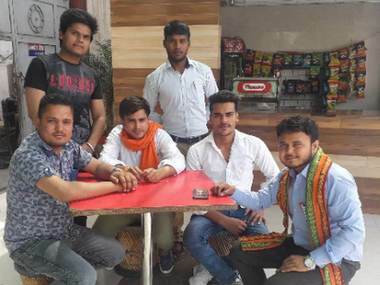 Kuddus Ali, a student leader who witnessed the attack on Ali, said, "Tension was brewing since Thursday when some people went to Shaukat Ali's restaurant and shot a video of the beef he (had) kept separately. The group asked him whether he had permission from the market committee to sell beef. The group later warned him not to sell beef." Kuddus Ali added that four or five places in the market have been selling beef for decades on weekly market days, which are Sunday and Thursday. The customers who consume it are served separately in a closed room. For others in the market, these shops serve tea and biscuits. Pork is also served by non-Muslim shop owners in the market, albeit not in closed rooms the way beef has been served by the Muslim shopkeepers over the past few decades. Shaukat Ali's son, Abdul Wahab, 14, said the restaurant they own in the market was established by his grandfather. "After his death, my father used to run it. On Sunday, he closed the restaurant early as it was a rainy day and there were not many customers. But he was dragged from his bicycle on his way to Phulphali, where we live, and was taken in front of Chariali Girls Higher Secondary School, a kilometre away from the market. He was tortured brutally. Now, he is admitted at the Biswanath Chariali Civil Hospital. The doctor attending to him told me that he almost has no skin on his back due to the torture. He has sustained chest and head injuries as well," said the teenage son. 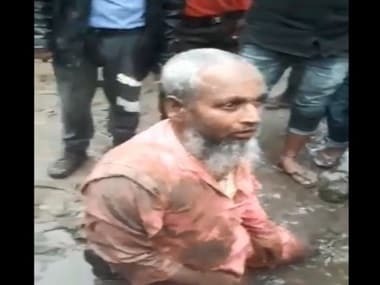 Mahmudal Hassan, district president of AAMSU and an eyewitness to the assault, said, "A person called Kalam called me up to inform that a person was being beaten up in the market. Immediately, I went to the police station. But, I was informed that a police team had left for the spot. I, too, went there and saw Shaukat Ali gheraoed by a mob. The mob had already beaten him up, there was blood all over his shirt, and he was almost losing conscious." Reportedly, Ali was thrashed with sticks and rods, and his bicycle was also destroyed by the mob. While he was being beaten, another group vandalised his restaurant, broke the utensils and ran away with gas cylinders, cooking pots and food items. "The group didn't find beef in his restaurant that day," said Hassan. Civil society organisations staged a protest against the incident in Guwahati on Tuesday.